Zynga revealed they were working on a new “with friends” game earlier this year, called Running with Friends. The game is set in Spain. Running with Friends is now officially available. 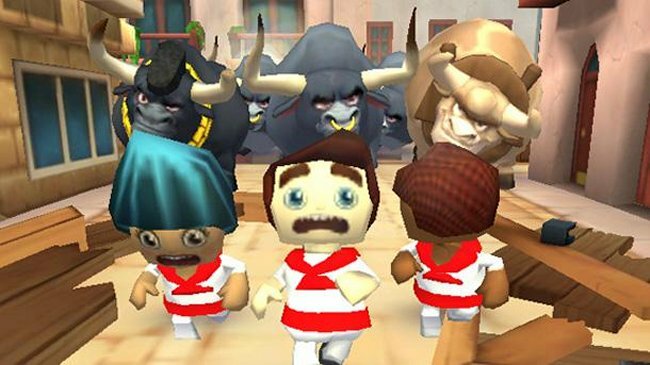 In this game, you’ll be running through the streets of Pamplona Spain. The Running of the bulls of course. You’ll help guide your avatar through the game to collect stars and avoid obstacles by swiping the screen to change lanes, jump and slide. It looks like a lot of fun. You won’t need to tilt your device since all of the lane changing can be done with a simple swipe. If you want to check it out it is available now.